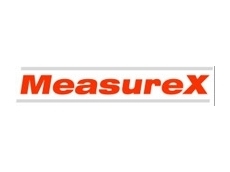 MeasureX supplies a wide range of miniature-sized load cells for measurement of force in area where space is limited. 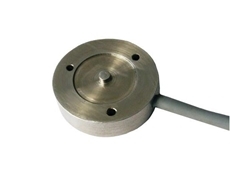 Our load cells are best suited for tension and compression force measurement. Our miniature load cells come with variety of types, such as column-type, S-type, multi-axis, button, single point, center thread and center hole load cells to suit many different testing requirements. MLD66 measures force in 3 mutually perpendicular axis and provides an output of 1mV/V from each axis without requiring mathematical manipulation. This high performing sensor is available with standard measurement range from 50N- 500N. Miniature S-type from MeasureX offer the highest precision force measurement of 50N to 1kN with 0.05% accuracy. MLW64 is a miniature compression load cell for weighing applications in industrial robotics automation and precision machine. It is available with standard range of 50N to 20kN with 0.5% standard measurement accuracy. MLA66 is designed for low range tension-compression force measurement; 1N-2N. It has superior accuracy of 0.015% and highly competitive in pricing. This makes it ideal as weighing solution in large volume OEM application. MLR62 is a low-profile miniature load cell with center hole design for compression load measurement in civil structures and industrial machines. It is highly durable with available measurement range from 5kN-50kN. MLR62 offer superior measurement reliability with 0.1% reading accuracy.